Asha picked up a discarded plastic bottle, dropping it mechanically into the sack she had swung across her back. It grew heavier as the morning wore on. Her empty stomach growled as she trudged through garbage-laden streets and alleyways. As on many other days, Asha had left her house without breakfast. It was Asha’s daily ritual, ever since she was a very young child, to rise early in the morning to go picking through trash with her mother. Asha’s father was paralyzed, so he couldn’t provide for his family. It was up to Asha and her mother to maintain the family. But being “Untouchables” within their society, they didn’t have many options when it came to jobs. They were left to rummage through trash heaps and filth every day to find plastic items they could sell. Asha shouldered the responsibility of gathering, sorting, grading and selling whatever she could find. When it came time for school, Asha didn’t want to go. She feared the rejection of her teachers and classmates. No one would sit by her or play with her. She was alone and excluded. Asha didn’t have any friends at school. Her parents explained to her disappointed heart the reason why society did not value her. She knew it was because she picked trash for a living, but this never made it any easier. It couldn’t be helped. Education was only a faint dream for her and the many others like her. The door for a better future was within her grasp, yet the realities of society kept it barred. 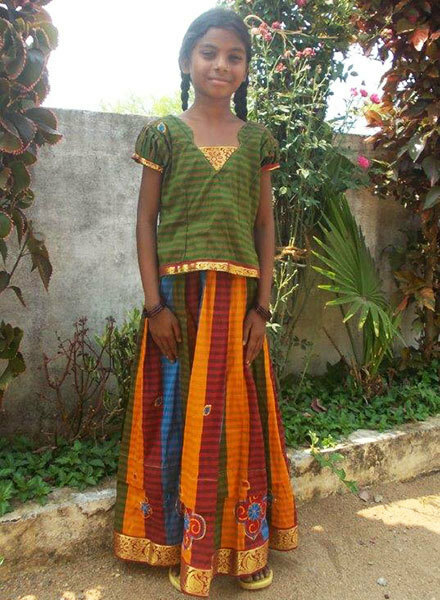 Asha faced what thousands of children like her face—no way out of the cycle of poverty and no way for an education. 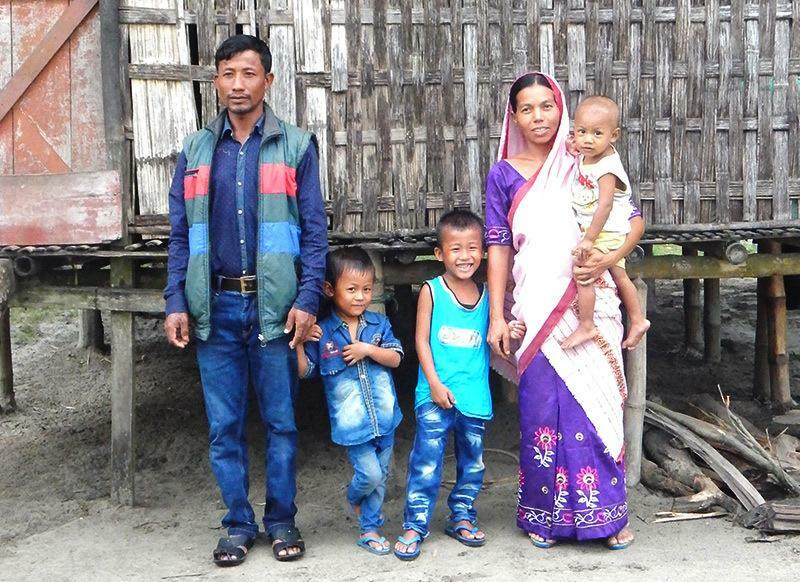 When Asha’s father heard about a GFA-supported Bridge of Hope center, he encouraged Asha to start going. He knew Bridge of Hope offered help to those in need, especially to those who society deemed the lowest of people. The staff at the Bridge of Hope center would care for his daughter and provide the things he knew he couldn’t. Asha arrived at the center holding a plastic bag full of school books in her hands. Tattered, smelly clothes hung from her small body, and her face was dirty and unwashed. Though she arrived unkempt, the staff always welcomed, loved and cared for her. It seemed they weren’t concerned about her background. Instead, they tenderly took deliberate steps to help her keep neat and clean. First, she was given a backpack to replace her makeshift bookbag, then she was given school supplies and other useful gifts. After a year, Asha’s life was changed completely. She learned fast and grew strong in her studies. Now, instead of having an empty stomach, every school day she enjoys a meal at the center. Asha has learned how to keep herself clean, and she participates in all the activities Bridge of Hope conducts. Asha’s parents have watched their now 12-year-old daughter thrive under the love and attention she received at the Bridge of Hope center. 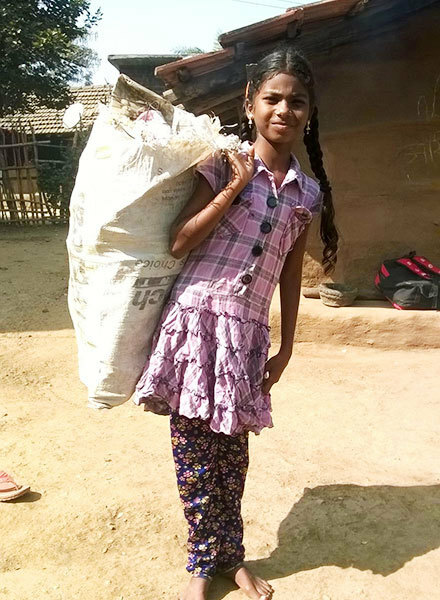 Asha no longer picks up trash; instead, every school day, she picks up her pencil and notebook and learns—just like she always wanted. There is hope and ambition in her life, where there wasn’t any room before among the garbage heaps. There are millions of children just like Asha who are hopeless, forgotten and utterly rejected. Bridge of Hope is helping precious children through education, daily meals, character-building activities, lessons on good hygiene, and by setting positive examples of love and good morals. There is a bridge for these children that gives them a chance to rise above the cycle of hopelessness they have always known. Just $1.15 a day provides a child a chance for all these things, through Gospel for Asia’s Unsponsored Children Fund. Give today to change a life.